Anthony Joshua's next opponent should be confirmed next week, says promoter Eddie Hearn. Joshua is scheduled to defend his world heavyweight titles at Wembley Stadium on April 13, with Deontay Wilder, Tyson Fury, Dillian Whyte and Jarrell 'Big Baby' Miller all being linked with the British star. Wilder and his team have been ordered by the WBC to open rematch talks with Fury following their controversial draw in December. 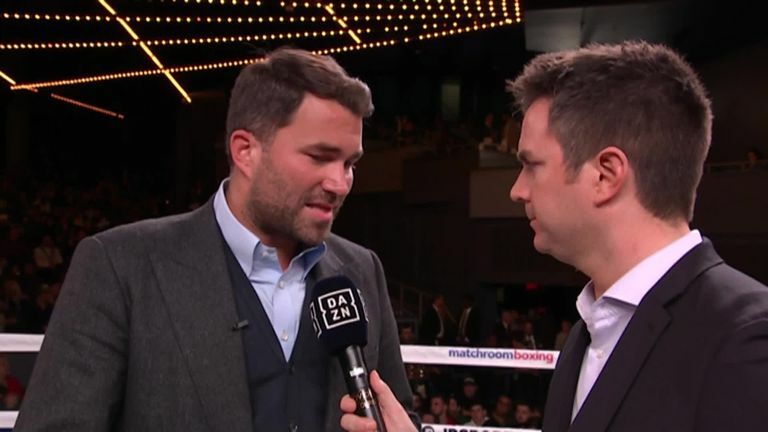 Hearn insists there is "radio silence" from the 'Bronze Bomber', but he has spoken to Fury.